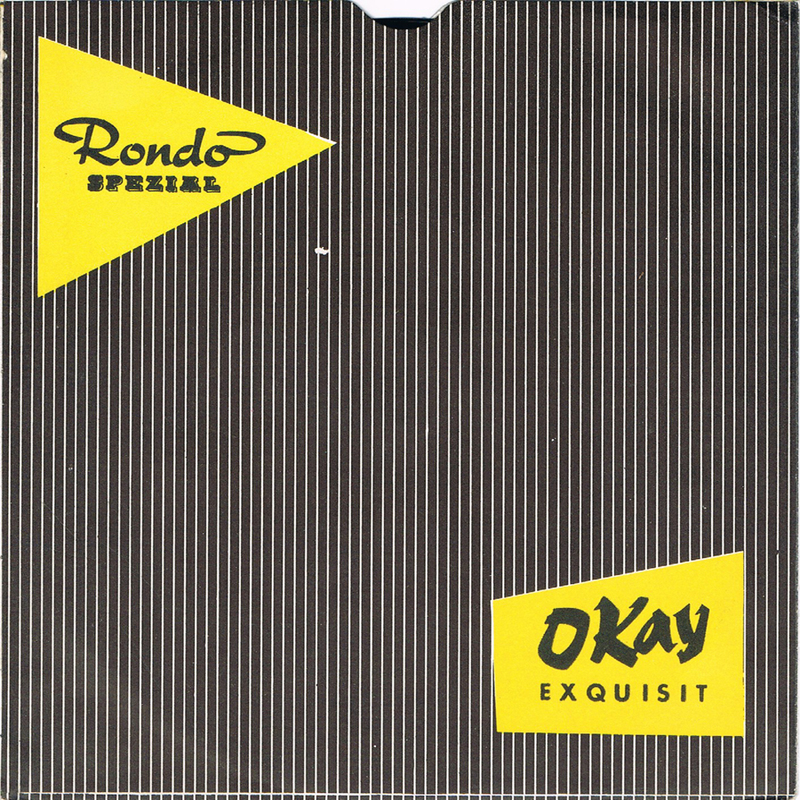 Another flexi disc that was pressed by the Phonocolor company, the same company that produced the great Bernhard Frank. This one was advertising for their own advertising services. 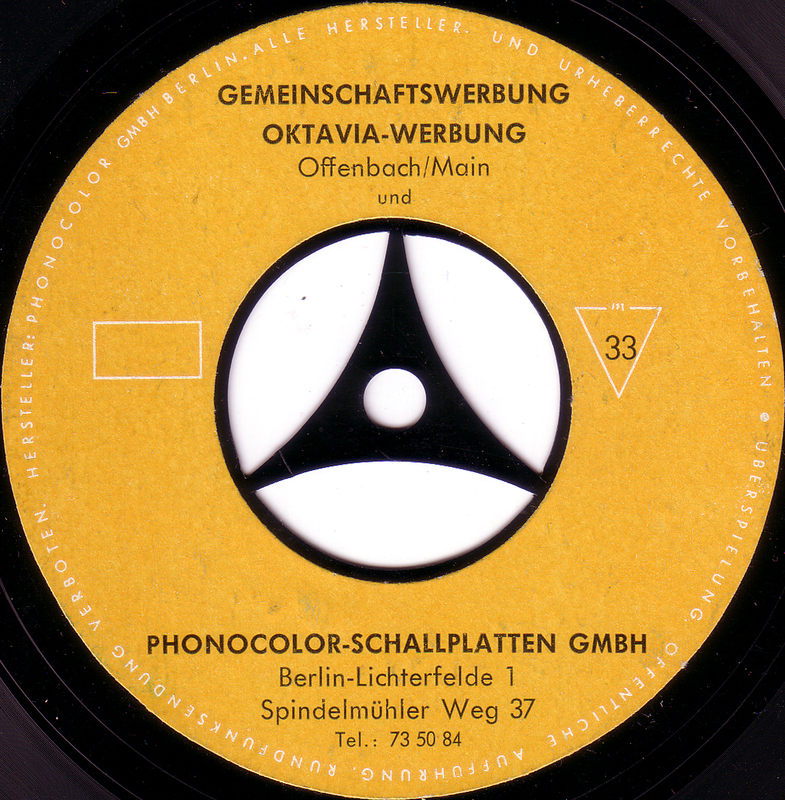 The two sides of this record demonstrate in spoken word, song and some silly dialogues how any company or any person could have their advertisement records done by the Oktavia company out of Offenbach, Main and Phonocolor-Records from Berlin-Lichterfelde. Here I have another OKAY EXQUISIT of Citroen DS 19 with a funny cover. I would upload it, but don´t know how to do. Mensch, deine Sammlung ist ja der Hammer!!! War nur kurz auf deinem Myspace, aber das sieht ja sehr viel versprechend aus. Tolle Ausstellung! Da fang mal schnell an zu bloggern, ich will dich verlinken und bin gespannt auf deine Platten. Echt, ist total einfach. Einfach anmelden, und los geht´s, das kann jeder. Die Deutschen Sammler hängen ja leider lieber in irgendwelchen Foren rum. 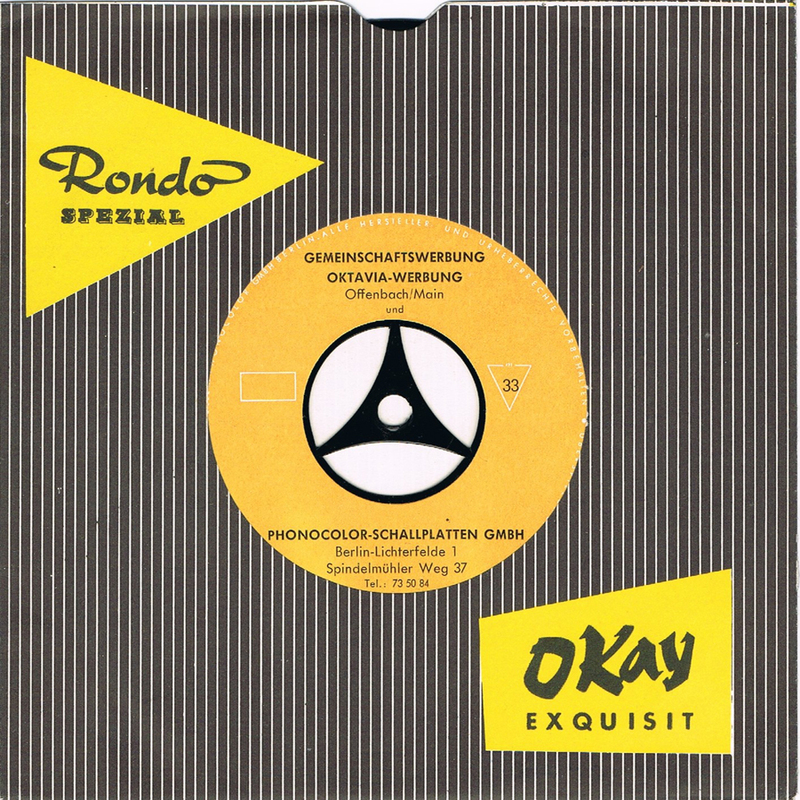 Ich würde mich freuen, deine Platten zu sehen. Und anzuhören! Let´s wait for it !